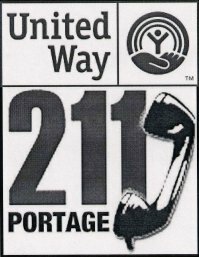 The Victim/Witness Assistance Division provides assistance and information to victims of crime and referrals to other quality support services offered in Portage County. Advocates are available twenty-four hours a day to assist victims of crimes such as domestic violence, stalking, assault, sexual abuse, child abuse, drunk driving, and to assist the families of homicide victims. These services are available to all residents of Portage County, or anyone who becomes the victim of a violent crime in Portage County. This Division's trained advocates are available to lend immediate support to victims of violent crime, to accompany them to court appearances, provide information and guidance concerning the criminal justice system, make referral to appropriate social service agencies and counselors, provide information concerning payment of medical bills from State funds, and to notify victims and witnesses concerning important hearing dates and the status or outcome of criminal cases in which they are involved. Personal Advocacy - Available to meet crime victims at crime scenes, hospitals, and police stations 24 hours a day. Familiarize victims and witnesses with the criminal justice system and explain the adjudication process. We accompany victims to court hearings, provide reassurance to those experiencing fear of retaliation, assure separation from the defendant or defendant's family at the courthouse, and transport victims and witnesses to and from court if necessary. Notification - Inform the victims and witnesses of the present status and/or disposition of their case. Referrals - Refer crime victims to counselors and appropriate social service agencies that include Townhall II and Safer Futures. Victim Compensation - Eligible crime victims in the State of Ohio may collect from the Victim Compensation Fund. We supply Reparations applications and referrals to attorneys who assist the victim in the filing of a claim free of charge. We have helped victims receive over $296,000.00 in compensation. Victim Impact Statement - A statement written by the victim of a crime expressing his or her feelings regarding how the victimization has affected his or her life. It is submitted to the Adult Probation Department for a pre-sentence investigation and to the presiding judge to read prior to sentencing. Victims' Rights - Upon request, we provide information to victims regarding the Ohio Parole Board and parole or release hearings. Public Education - Inform the public of programs and services through brochures and education. This Division is staffed by four full-time Advocates and is funded almost entirely by state and federal grants. Provides notification and information to victims and witnesses regarding hearings and the status of Municipal and Common Pleas criminal cases.